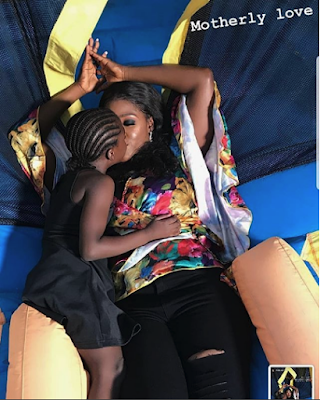 The beautiful Actress mother and her cute daughter are serving Mother Daughter goals.. So cute. The proud mother shared the photo on her social media and wrote..
"I just can’t settle for anything less, My daughter is watching me and i have to be the woman ,I want her to be…..May God help us to do better as moms……No one is Perfect….No one…..